Back in October 2012, I wrote about a controversial New Hampshire law that would have required voters to register their vehicles in the state and get an in-state driver’s license as part of the requirements for domicile. The law was temporarily suspended by a state court in advance of the election. A New Hampshire judge has struck down a 2012 law as unconstitutional that effectively blocked out-of-state students and others from voting in New Hampshire unless they established residency in the state that extended to other activities beyond voting, such as getting a driver’s license. The New Hampshire Civil Liberties Union filed a petition on behalf of four out-of-state college students and the New Hampshire League of Women Voters two years ago, arguing the law would freeze out eligible voters. The law required people registering to vote to sign a statement saying they declare New Hampshire their domicile and are subject to laws that apply to all residents, including requirements they register their cars in the state and get a New Hampshire driver’s license. Then-Gov. John Lynch vetoed the legislation, but lawmakers overrode his veto. Tucker cited a 2006 New Hampshire Supreme Court ruling that listing candidates in alphabetical order, giving preferential placement to the parties based on the votes they garnered in the last election, is unconstitutional. “The threat to the fundamental right to vote here is at least as acute as the danger that alphabetical listing of candidates had on the right to be elected,” Tucker wrote. Gov. Maggie Hassan said the decision will help ensure that all citizens can exercise their constitutional right to vote without obstruction. “I oppose this law, which attempted to undermine the fundamental right to vote, a right that is the cornerstone of our democratic society,” she said. 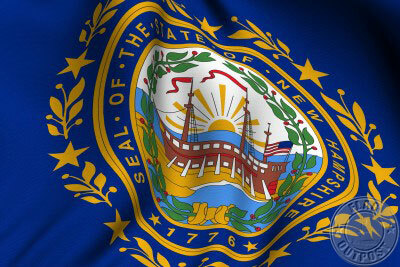 Be the first to comment on "New Hampshire Judge Strikes Down Residency Law"